This week’s photo challenge is Creepy. 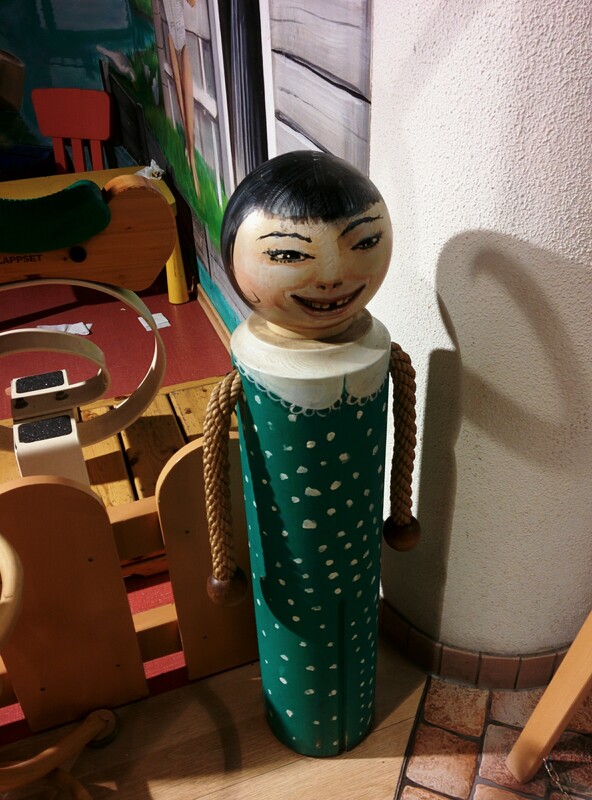 I didn’t really expect to come across anything creepy during the week, but then lo and behold, we bumped into this scary-looking wooden doll statue next a kid’s play area in a service station! I wonder how toddlers feel when they come face to face with this child-sized wickedly grinning doll and her looming shadow? I’m sure whoever painted her intended her to look quite friendly, so it shows how your imagination can transform something perfectly safe into something creepy!